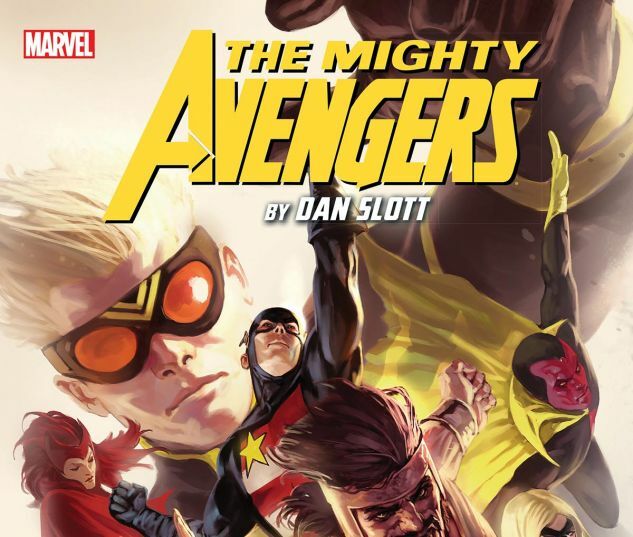 Collects Mighty Avengers #21-36 and material from Secret Invasion: Requiem. When darkness reigns, founding Avenger Hank Pym decides the world once again needs Earth’s Mightiest Heroes! 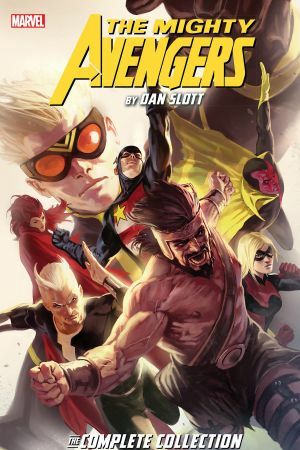 Quicksilver, USAgent, Vision, Stature, Jocasta, Hercules and Amadeus Cho answer Pym’s call — but with an oddly sinister Scarlet Witch alerting the squad to new missions, and Pym’s fixation on his deceased ex-wife the Wasp, drawing concern, can this fledgling group of Avengers overcome threats such as the chaotic Chthon, Norman Osborn’s Cabal and the deposed Inhuman monarch known only as the Unspoken? Plus: A grudge match against the Fantastic Four! A savage showdown with the Dark Avengers! And Pym is named the universe’s Scientist Supreme! But when Loki’s schemes come to fruition, the Mighty Avengers face the Siege of Asgard — and Pym must survive a confrontation with his sinister cybernetic “son,” Ultron!